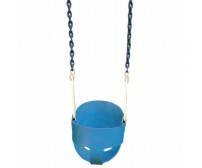 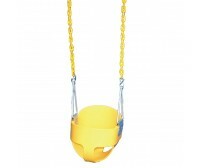 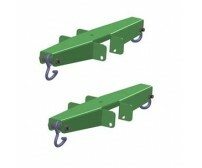 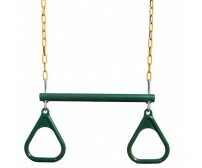 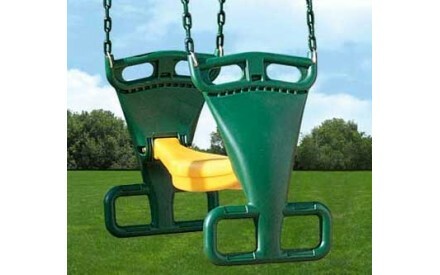 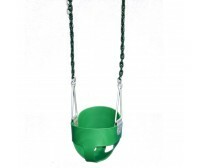 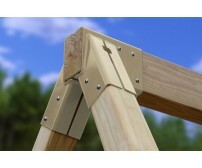 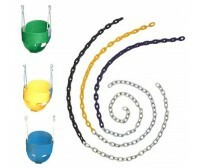 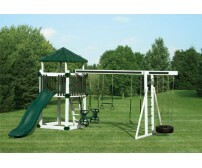 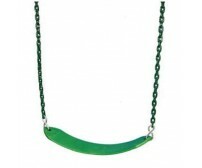 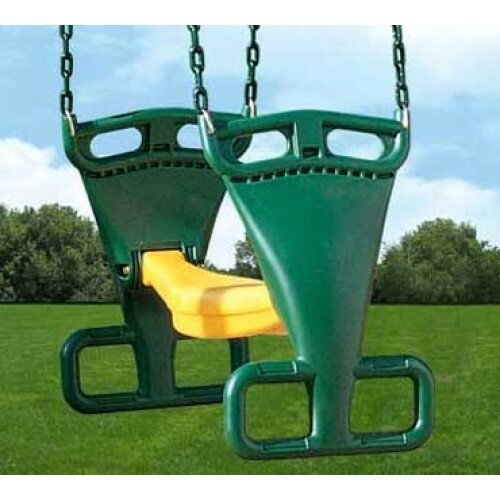 Creative Playthings Back to Back Glider Swing with chain. 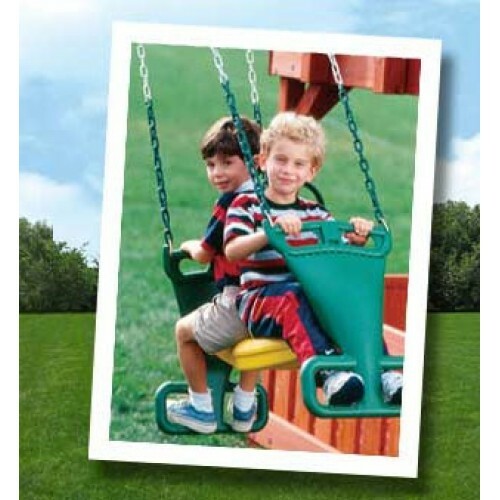 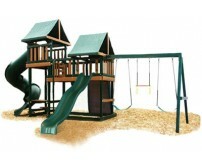 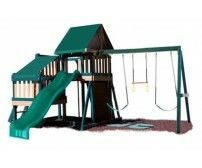 This great glider encourages socialization and teamwork as the children work together to make it go back and forth. 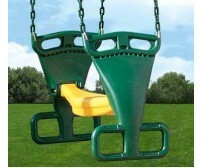 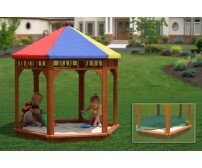 Features two footrest positions for different size children.